I receive so much incredible feedback from this question. It allows me to see what is needed from the people who are reaching out to me. I don’t just look at these answers and pass them off. I tally them up on a spreadsheet and every month or so I look at the spreadsheet and what tutorials have the most tallies. Once I see a necessity for a tutorial, I get to the prep work and put it together. With all of that being said, the tally was high on a layer & masking basic course. 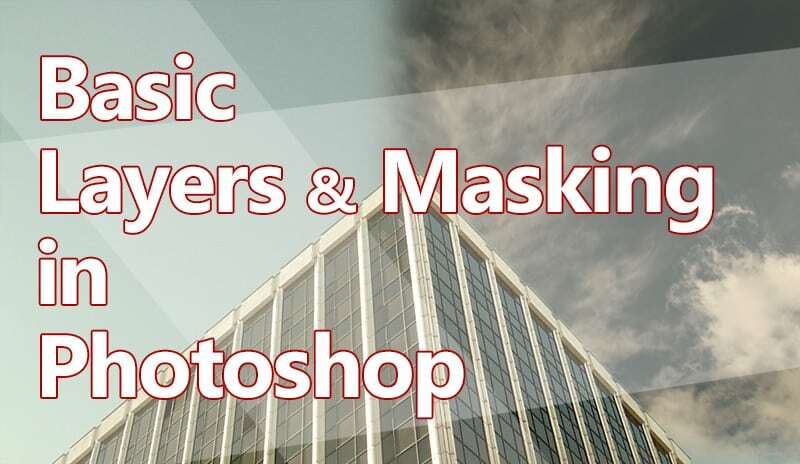 You see, those of us who have spent years in Photoshop, understand masks and layers pretty well because we have pulled more hair out than we can count trying to wrap our head around it. While this may have seemed like an easy tutorial for someone with advanced Photoshop skills, this was probably the hardest tutorial I have ever had to put together; yes, even harder than the Color Zone System tutorials! Awesome! I am just glad I could help! Bravo! Very helpful. Thank you, Blake! Thank you for the very clear explanation of how use masks! Very helpful. That is great to hear! Glad I could refresh you, 30 years!!! That’s intimidating knowledge! I’m probably at an Intermediate PS level but still found a few nuggets in this tutorial that were helpful reminders. Thanks, Blake for all your work you do in preparing tutorials. Not a problem, it is truly my pleasure! Thanks for the refresher. I needed that clipping mask info. My pleasure! The clipping mask is one of the most epic tools in Photoshop! Just what this “newbie” needed! Thank you so much for taking the time to put this together it was awesome!! Alright!! Thanks for the feedback! Thanks for a much needed tutorial for me. Now have a much better understanding of masks and what can be accomplished with them. Oh no! Okay, a brush tutorial would probably be helpful. I could definitely see a tutorial need for that as well. I will add that to my list, Wes! You are very welcome my friend! I am glad I could help! Blake, like Penny, I have used PS since PS3 and I’m just beginning to better understand layers and masks. Your tutorial is the best I’ve seen, even for an experienced user. You do a good job in your tutorials of laying a good foundation and then slowly building a learning experience, brick by brick. Well done and I hope you’re feeling better. Thanks, Dan! I appreciate that feedback… a lot! I am feeling better now. Still didn’t get nearly enough recording accomplished last week as I would have liked to, but everyone needs a break sometime! Glad I could help! -I already knew about 90% of what you covered in this tutorial but the only reason I did was because over the past year or so, I have learned it all from this site and especially from your other great site, “HDR Insider” which I HIGHLY recommend to everyone. -It is obvious that you love doing this and it shows. It shows in that you make it interesting and fun to follow although sometimes I get skid marks on my eyes trying to keep up 🙂 Thank God for the ability to go back a replay parts. -Your tutorials on Photographic techniques, the Digital and Color Zone Systems you have developed, your books, downloadable actions and other tidbits are invaluable. They do concentrate on applying Photoshop to photos, especially HDR. Based on what I just saw in this tutorial, I think you should really consider creating Photoshop tutorials specifically and then apply them to a few sample photos as you did in this tutorial. There are plenty of other Photoshop Tutorials out there but your extensive knowledge of BOTH Photoshop and HDR would make yours unique compared to others. I hope you don;t mind my long-winded comments. Thank you for this tutorial and for all you do. It is greatly appreciated. Thank you, Vinny! Your insight, no matter how long or short, is always something I value. Whether it is about the kids or the tutorials, you always seem to say the right things at the right time. I have several projects I am working on all at once right now. Kind of a cluster, but they fall in line with what you are looking for. I can’t say much about them now, but they will be coming out soon, within the next 4 months or so. That doesn’t seem like soon, but anyone with kids knows 4 months is like next week! Can you do a similar tutorial based on Lightroom only – for those of us who have Lightroom but not Photoshop? I previously wrote about your actions package only being available for Photoshop – any chance of a Lightroom edition? Sorry, Mike, at this time I do not use Lightroom. I do not see myself using it in the future, but any ACR videos I do can be used in the LR Develop Module. This is THE best explanation of layers and masks that I have every seen. Believe it or not but I once rang Adobe to ask them about, what turns out to be ‘clipping masks’ and the guy had no idea what I was talking about and told me that adjusting just one layer without affecting others could not be done. You have just opened a whole new world for me. Thank you. Thank you for a great tutorial. No problem, Sue! Glad I could help fill that void. Sometimes you get a good one on the phone, others may not be so tech savvy! This is exactly what we needed. It feels like we have just been handed the keys to that shiny new corvette. Perfect!!! Awesome! So glad I could provide! I have been working with Photoshop since about 1992. My first version was Photoshop 2.0. I’ve had a number of versions since then and now use CS6. Still waiting for something big to entice me to go for CC. This is the 2nd time in as many weeks that I’ve been trying to understand a certain part of Photoshop, and within 3 days you come out with a tutorial that explains how to do it. Excellent timing Blake. I’ve only used layers for about 4 years, but never really understood them this clearly until yesterday. Thanks very much. That is awesome! I am smiling from ear to ear with that comment. I really appreciate that feedback and am so excited I could help you. Want a reason for CC? Adobe Camera Raw as a filter… I would pay 3 times as much a month for that feature, thank goodness I don’t have to! Thanks for checking it out Terry! I’m a user of the Humble PS Elements 10 and have a basic working knowledge of layers so that I can apply various effects to my photos. However, this tutorial has opened up fresh possibilities for my photo editing as most of the actions and tweaks you demonstrated seem to be possible in PSE also. There were quite a few “Wow, I didn’t know you could do that” moments! As a retired 30-year technical college teacher, can I also compliment you on your clear and well-paced teaching method and join the previous commentators’ appreciation of this tutorial. Rob from Perth, West Oz. That is awesome to hear. I have yet to get into Elements, but am glad many of these techniques work with it. Thank you very much for your kind comments on my presentation and teaching methods. That means a lot to me! You Rock! Thanks a lot for this Tutorial. It will help me improve my workflow in my “PS Darkroom”. Can’t wait to see what’s coming. Happy clicking everyone. :)! Glad to hear it! This is something I need to learn but watching a video is good but not the best way for me. I need this in a written document. Also, you need to explain how to get two different images on the same screen at the same time. If you are using Photoshop and on a Windows PC (not familiar with layouts on MACs)on the file toolbar click on “Window” then select “Arrange”. There you will fine different ways of aligning two or more files (side-by-side or anyway you like). Hope this helps you out. I only joined less than a month ago and my head is spinning…:-) Trying to get my head around the zone system express and all the Photoshop stuff I didn’t master before… No easy task. I had to have a quick look at the basic stuff again. PS: My website is still a work in progress. I added it here but it will be up and running in a week or two. One small bite at a time 🙂 I am here if you need anything. I am not shy to anyone so feel free to email me. I read every one of them! Hi Blake, I really enjoy all of your tutorials and find them most interesting as well as helpful. I am relatively new to all the fantastic photo post processing possibilities. I am currently using ON1 Photo 10, Photo Raw 2017, and Adobe Photo Shop Elements. I rarely see the PSE program mentioned so I am wondering what the difference might be between Photo Shop and Photo Shop Elements as a lot of the commands and screens seem very similar if not identical. This was beyond helpful. I think the only part I can’t quite get my head around was when you were using the clipping masks with the bldg and sky….when it effected one or the other got me a bit lost but hopefully with time it’ll make sense. Thank you for THE BEST explanation yet!! Thanks. I know understand how clipping masks work and what they are used for. As far as the black and white goes, I have learned that “Black conceals, white reveals” is a good way to remember how things work, so I thought I would pass that on as I find it easier to remember – it rhymes. I am new to Photoshop CC 2017 and I am working through “Basic Layers & Masking”. Can you please tell me how I can create the square and color it yellow in [Layer 0]? that was so good – thanks for the help – you are the MASTER!